Giusto Faravelli SpA distributes raw materials such as sugar, sweeteners, preservatives, antioxidants, yeasts, minerals, binders, vitamins, detergents, fertilizers and water treatments to the food, cosmetic, industrial, nutraceutical, and pharmaceutical sectors. 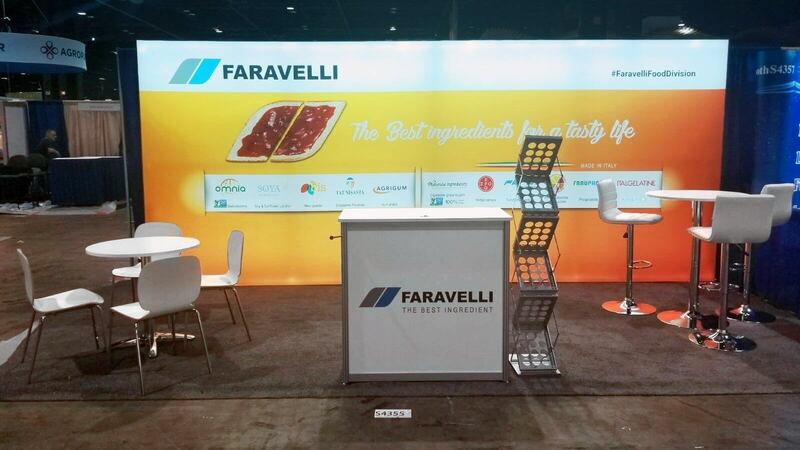 Headquartered in Milan, Italy, Faravelli was looking for a reliable partner to handle all their trade show logistics in the USA. Faravelli wanted the flexibility of exhibiting in different booth sizes with new graphics at each event without a long-term commitment and investment.